Be first to know about CVC News, new products in La Tienda, special CVC events and more! 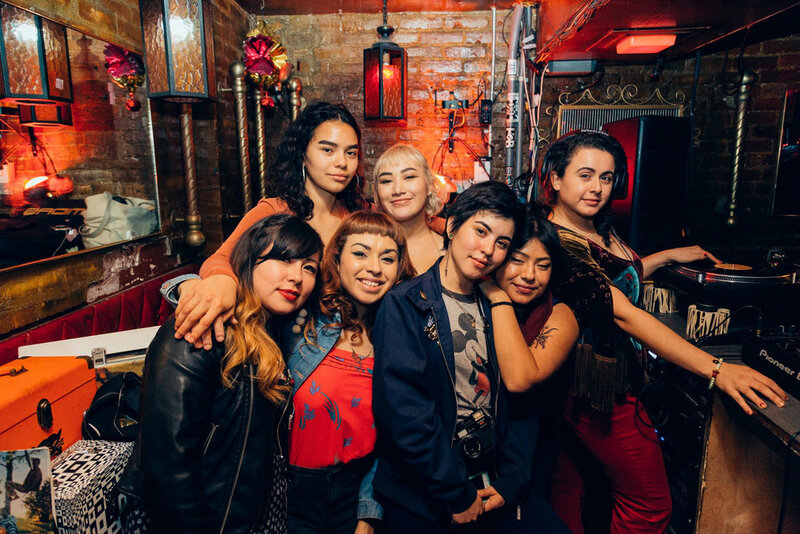 Chulita Vinyl Club is made up of women, gender-non-conforming, non-binary, LGBTQ+ and self-identifying people of color. 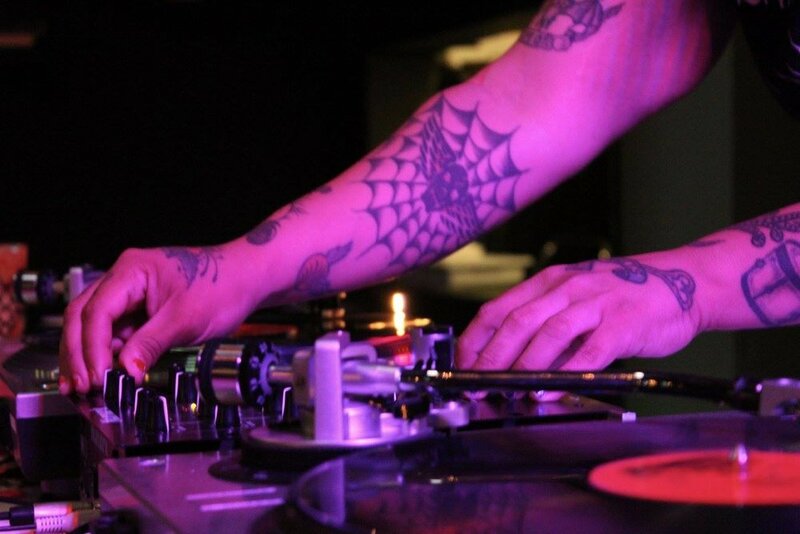 CVC launched in 2014, with the context of providing a safe space for empowerment, togetherness and to utilize music and vinyl as a form of resistance against the erasure of culture. Each Chulita identifies with their own identity. They are not to be classified as one nationality or culture. Within CVC they individually identify with the following: Latinxs, Tejanxs, Chicanxs, Xicanx, Afro-Latinx and many more. 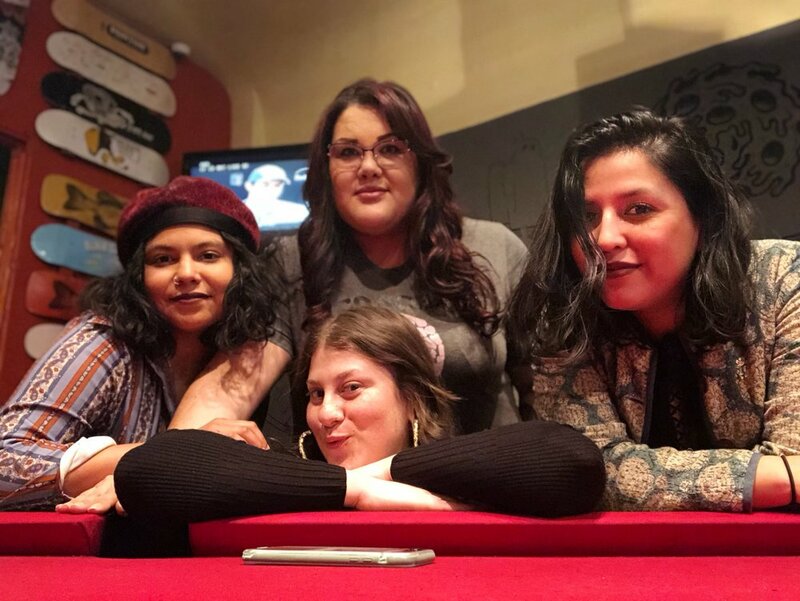 The unifying denominator is that they come together over the belief that EL DISCO ES CULTURA and they believe that is worth preserving and perpetuating. 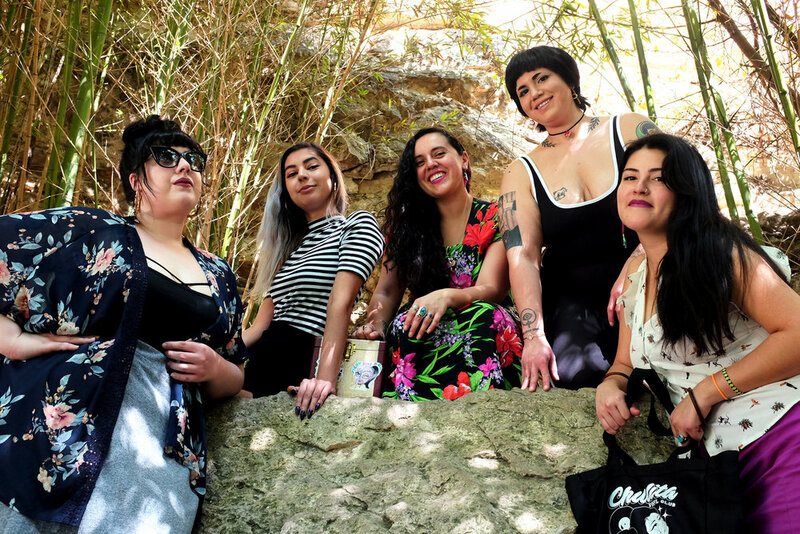 IDENTIFICATION: We are womxn of color and each Chulita identifies with their own identity. We are not to be classified as one nationality or culture (Latinas or Chicanas or Tejanas etc.) 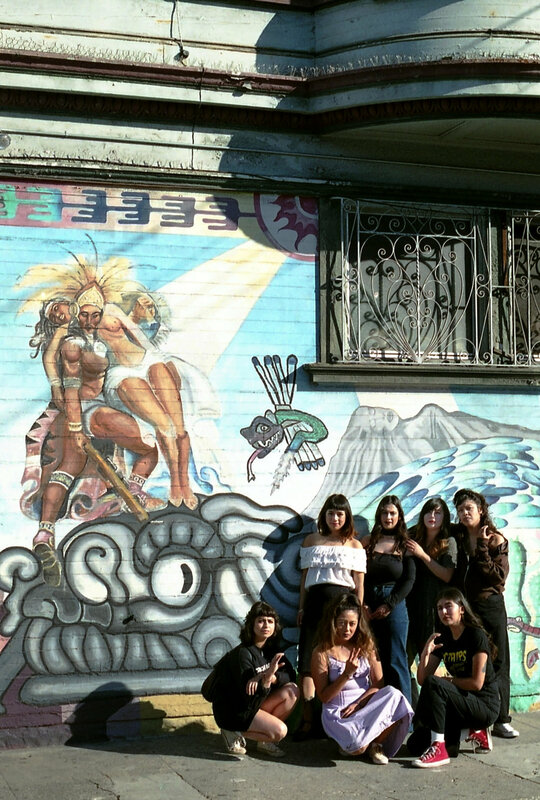 Within CVC we individually identify with the following: Latinas, Tejanas, Chicanas, Xicana and more. GENRES: There is no music genre policy in CVC as anything goes; sixties girl-groups, yé-yé pop, garage girls, punk, indie pop, northern soul, new wave, post-punk, riot grrrl, motown, ska, diy pop, punk rock, oi!, power pop, punk, twee, chicano oldies, sixties soul, northern soul, pop, chicano soul-dies, tejano, mexican rock, mexican punk, latino punk, rocksteady, dancehall reggae, good tunes, good tunes, good tunes.